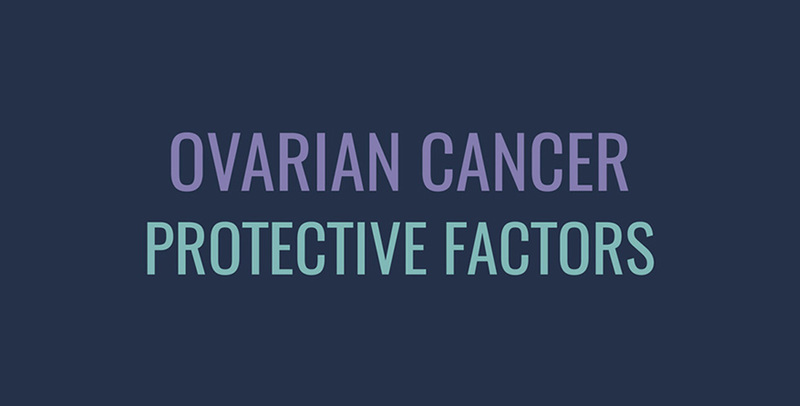 What are the ovarian cancer protective factors? Breastfeeding – Breastfeeding may low the risk of ovarian cancer. Childbearing status – Ovarian cancer risk declines with every childbirth (multiple births). Get active – Stay active and practice moderate regular physical activity. Preventive gynecologic surgery – A tubal ligation (tying the fallopian tubes) or hysterectomy (removing the uterus but not the ovaries) reduces the risk of ovarian cancer. Eat healthy – Keep a low-fat diet and choose healthy food. Intrauterine device (IUD) – The use of IUD. Oral contraceptives – Use oral contraceptives (birth control pills). Mironov S., Akin O., Pandit-Taskar N., Hann L E. “Ovarian Cancer.” Radiologic Clinics of North America (2007): 45 (1) 149-166.